*You must be a guest at J.W. 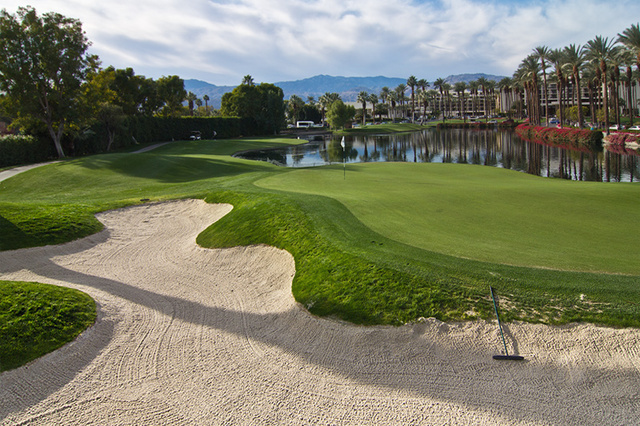 Marriott Desert Springs to play this course. 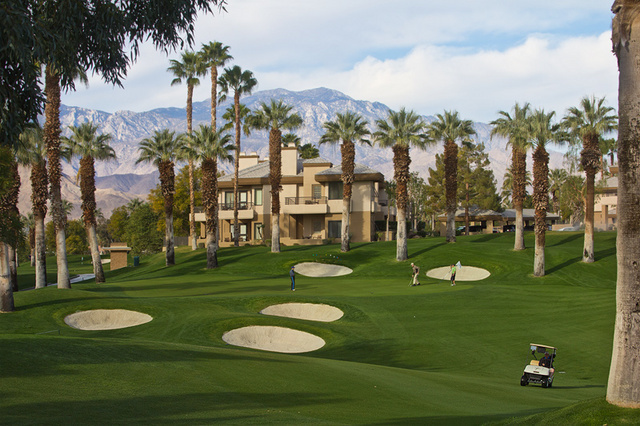 You'll hit it off beautifully at Desert Springs' two exceptional 18-hole championship courses, set against the towering backdrop of the Santa Rosa Mountains. 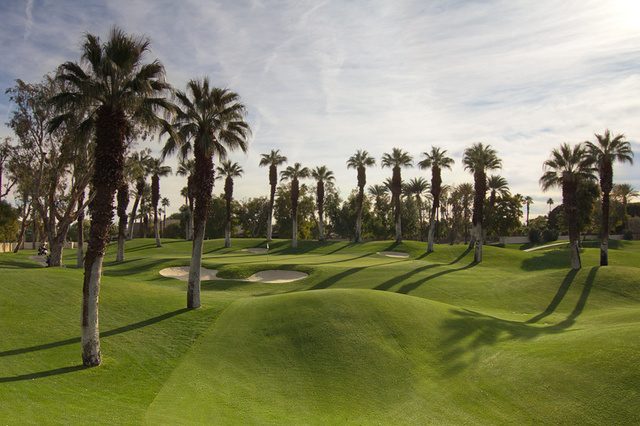 Both the Palm and Valley courses were designed by acclaimed architect Ted Robinson, "King of Waterscapes." 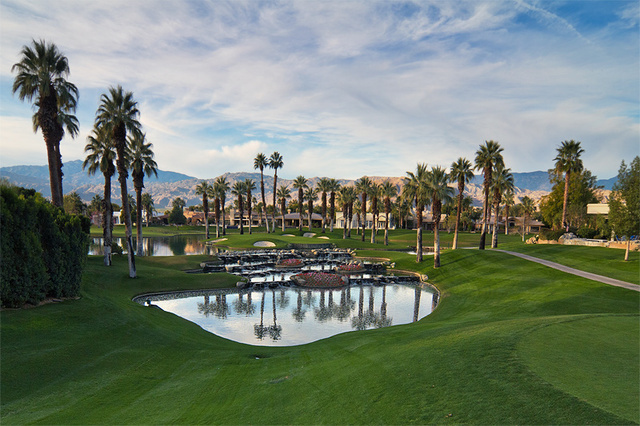 On both 18-hole courses, you can take a high tech drive in one of our new golf carts with state-of-the-art navigational and computing systems. 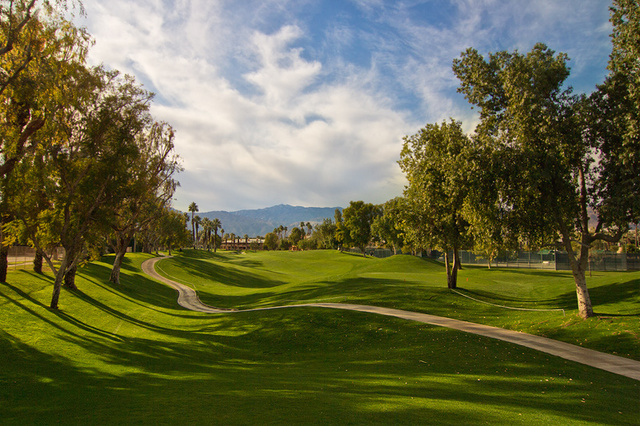 Right from your cart, you can use your onboard computer to view graphic layouts of each hole, compute exact yardage to the pin, monitor pace-of-play, and solicit tips from the course's pro on playing a particular hole. 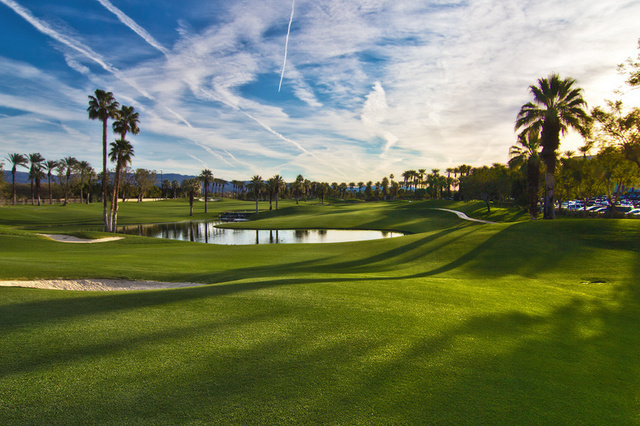 The result is faster playtime, lower scores, and a more enjoyable game. 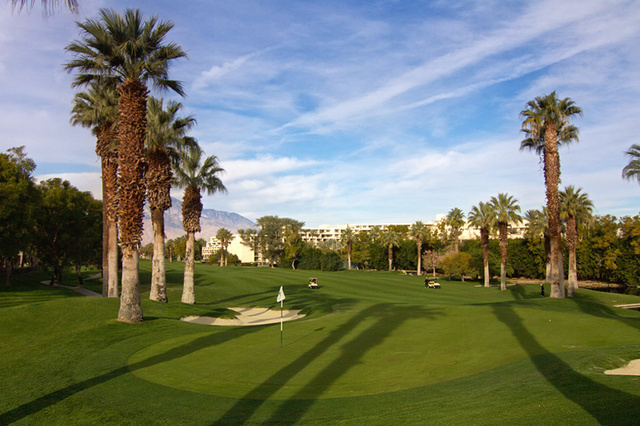 In addition, your lunch or snack can be ordered as you tee off from the 18th hole and be waiting for you at Sand Trap & Wedge for the perfect end to a great round.